This past spring, WestGate Church's School Impact Team met with the teachers and principals of 10 different school campuses (including every school in the Moreland School District) to ask how our church could help support the teachers and staff of those schools. In every single case, the teachers asked for help providing school supplies for their students. With few exceptions, state law now prohibits schools from charging fees for classroom items and activities and from requiring students to bring materials needed for school - so teachers and schools often end up buying these supplies from their own pockets. But it's not just school supplies. Many teachers and principles said they'd love to have Payless Shoe store gift cards - so that kids who come to school without good shoes can get new ones. Regardless, we now have an official list that educators and principals have said are the actual things they need. So here’s our chance to step up and really help some underserved and under-resourced kids in our city. Go to the official list below. Drop off these items at the donation station in the lobby on the weekend of July 27-28 at ANY CAMPUS. Let us do the shopping for you. If you don't have time, or will be out of town during the weekend of the donation collection, you can give financially right now. 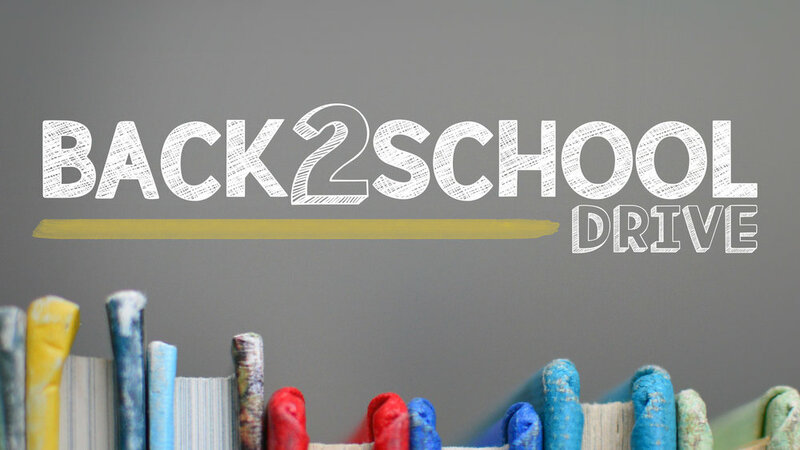 Just text WGSARATOGA to the number 77977 and select "BACK2SCHOOL" from the drop-down menu. Join us Wednesday, August 1st from 10am-1pm for our "Pack Day.” We’ll be putting all the backpacks together for the schools in the Saratoga Gym. Bring your kids - they will have a great time serving! If you want to be part of a team that seeks to serve and support the teachers and staff at local public schools, email Faith Hines for more information. When polled, we found that this simple black Jansport backpacks are preferred by schools and students. This brand is well-made and has durability to take a beating and still last throughout the year. All of the schools, in the Moreland School District have access to in-classroom technology and require students to have earbuds (3-5th grade) or head phones (TK-2nd grade). These were the specific type of marker preferred by teachers because no other kid-focused marker brand seems to match the quality of Crayola. The tips taking a beating, and they last a long time. These are used daily by teachers and students in nearly every classroom. Schools are not allowed to use Clorox wipes or hand-santizer any longer but these wipes help keep little hands and shared surfaces clean and sanitized. Becasue white paper is BORING! Remember the feeling of new school shoes? We want all kids to have that same feeling, regardless of their financial ability.